A pair of former Cowboys will be in action this upcoming weekend. 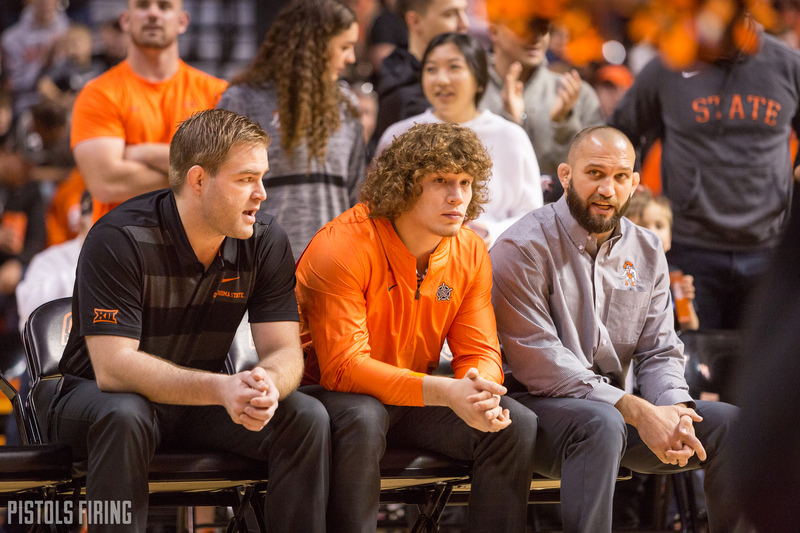 Former Cowboy wrestlers Alex Dieringer and Jordan Oliver will wrestle in big international tournaments this week. Dieringer will be competing at the Ivan Yarygin in Krasnoyarsk, Russia. This is widely regarded as the toughest tournament in the World. I’m am headed to Siberia, Russia to wrestle in the Yarygin!! Excited to go out there and give everything I have to bring the gold back to America! I am so blessed to travel the world and represent my country.???? He’ll have a chance to take out World Medalist and three-time Yarygin champ Ahmed Gadzhimagomedov here. This is a part of the ranking series United World Wrestling started last year. Oliver will be wrestling at the Dave Schultz Memorial at the Olympic Training Center in Colorado Springs, Colorado. One of the marquee matchups for Oliver will likely be with Frank Molinaro. Molinaro is currently wrestling with the Oklahoma RTC at OU. Dieringer’s weight will be wrestled on Friday with Oliver’s on Saturday. The Dave Schultz Memorial International runs Thursday January 24 through Saturday January 26 in Colorado Springs and the 2019 Yarygin will run from Jan. 24-27 and both can be streamed at FloWrestling.